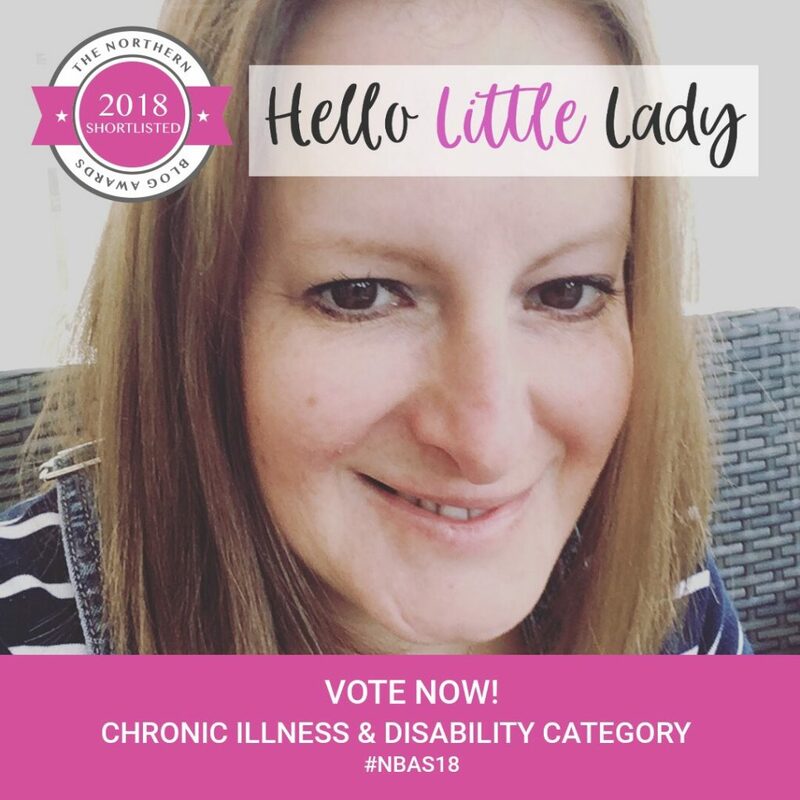 Erm, well, it was quite nice to find out a month or so ago that this lovely little blog of mine has been shortlisted in the ‘Chronic Illness and Disability’ category for the Northern Blog Awards. I think I accidentally nominated myself..!? Apparently, nominations occur through someone who has nominated you or if you’ve done it yourself. Now, I was quite surprised to be shortlisted. Then I had this dawning realisation that I might have accidentally nominated myself. I have vague memories of half filling out a form for the blog, but chickening out hitting the submit button, making up the excuse that it wasn’t really relevant to the category. …Oh! Who knows?! …Well, the organisers of the event, and rather than pondering on how the nomination came to be, I’ve realised I need to focus on enjoying being shortlisted and go about acquiring more public votes. The winner for each award is determined by 60% of the judges, with the remaining 40% going out to the public vote. While I have exhausted family, friends and followers in asking for votes, I thought it might be wise to outline to a wider audience what winning this award would mean to me. To further challenge the objectification and mainstream acceptance of the mockery of dwarf bodies and experiences. The recognition of dwarfism as a disability. Hello Little Lady will continue to promote the aims above whatever the outcome on 29th September in Manchester. Being shortlisted (oh goodness, the puns!) is an honour in itself. To know that my experiences are being read and recognised makes me feel humbled that my words about life living with Dwarfism can have an impact. If you like what you’ve read, please can you vote for me? You can do so via the link below. You’ll find Hello Little Lady in the ‘Chronic Illness and Disability’ category. Thank you for your support! It’s very much appreciated!